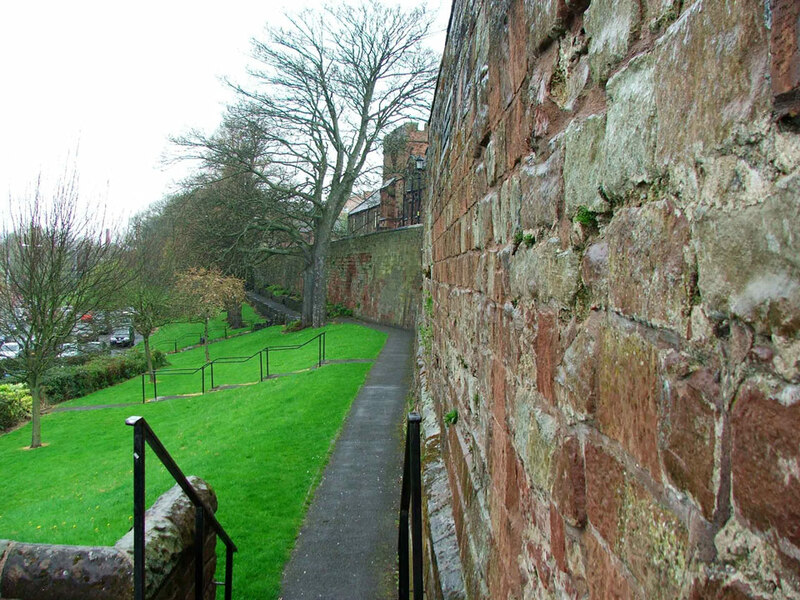 The Roman Luguvalium Fort was started in AD 72-3 and continued to be used until the 4th century although the nearby Stanwix Fort was the major defence. 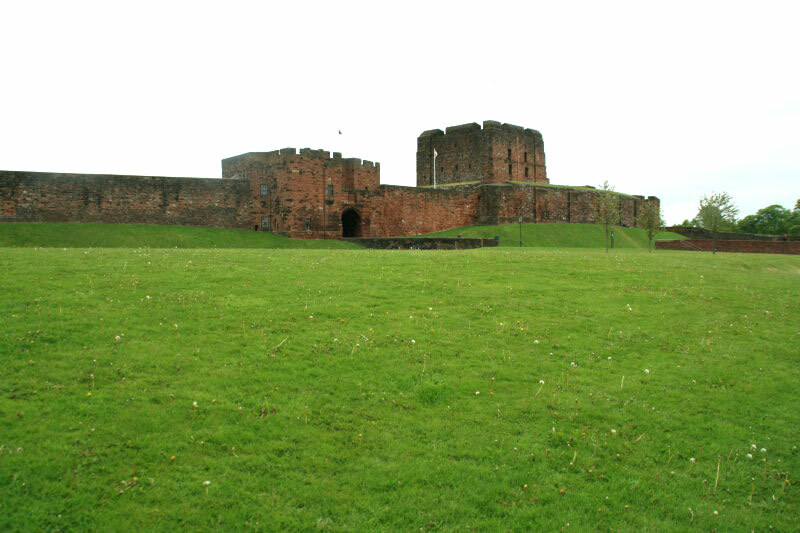 The Norman castle was built in 1092 in wood on the site of the Roman fort. 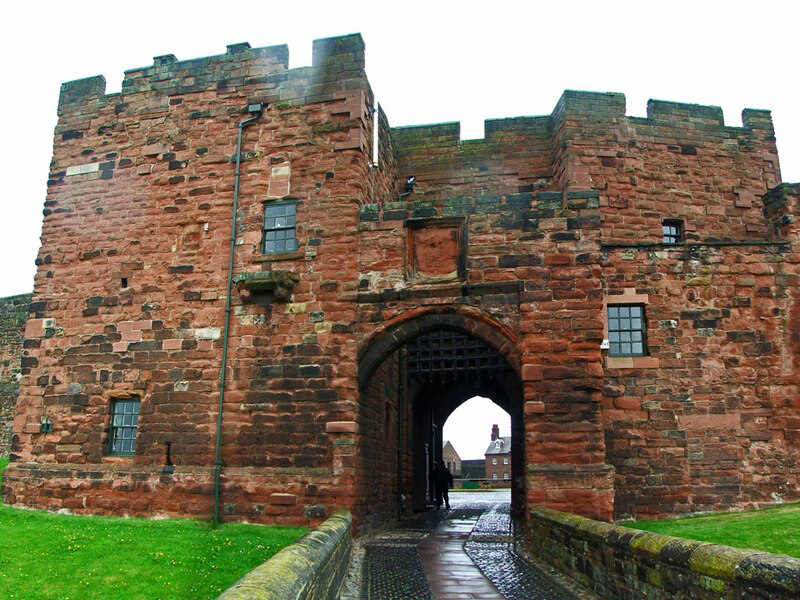 Rebuilt in stone in 1157, it was repeatedly attacked by the Scots and needed regular repair including a new outer gatehouse in the 14th century. 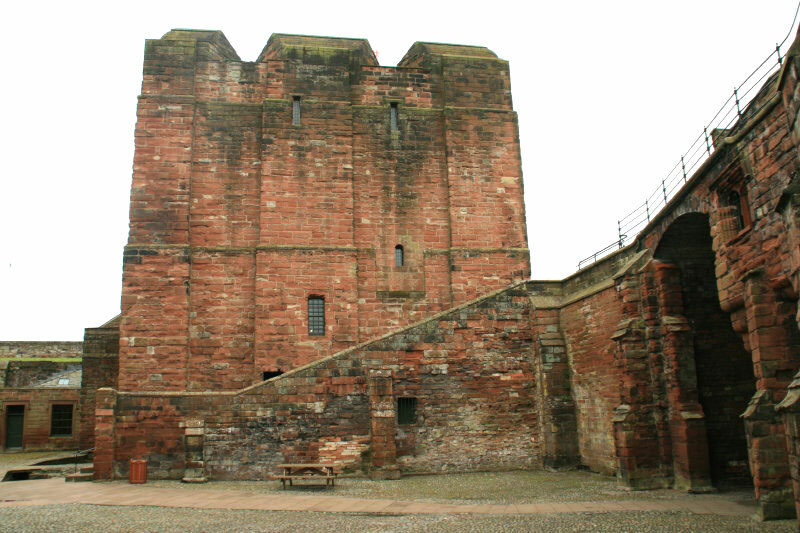 It was restored in 1541 but again it was badly damaged in the Civil War and then in 1745 in the Jacobite uprising. 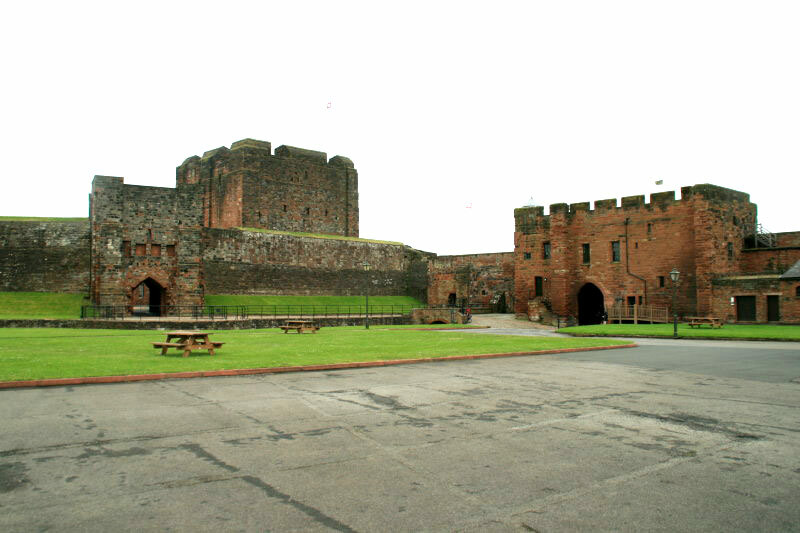 It was then rebuilt again in the 1820's around the large Norman keep. 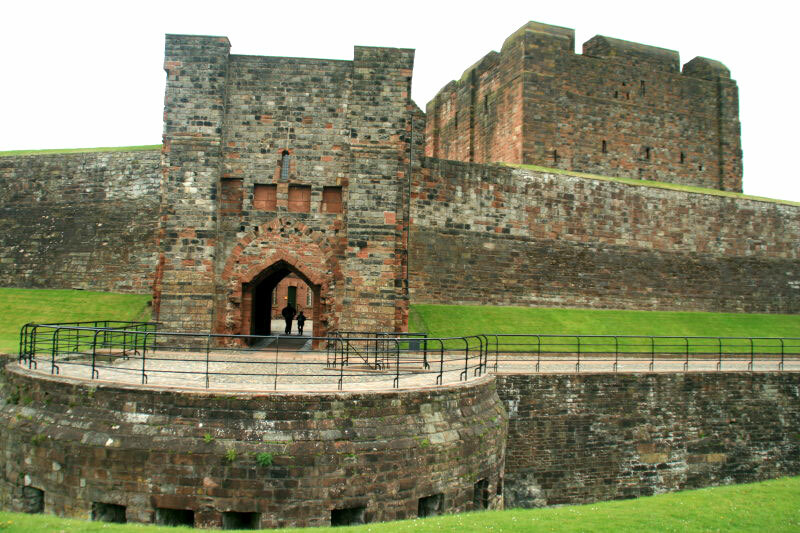 There are two oval towers at the southern entrance to the City, the East and West Towers known as the Citadel. 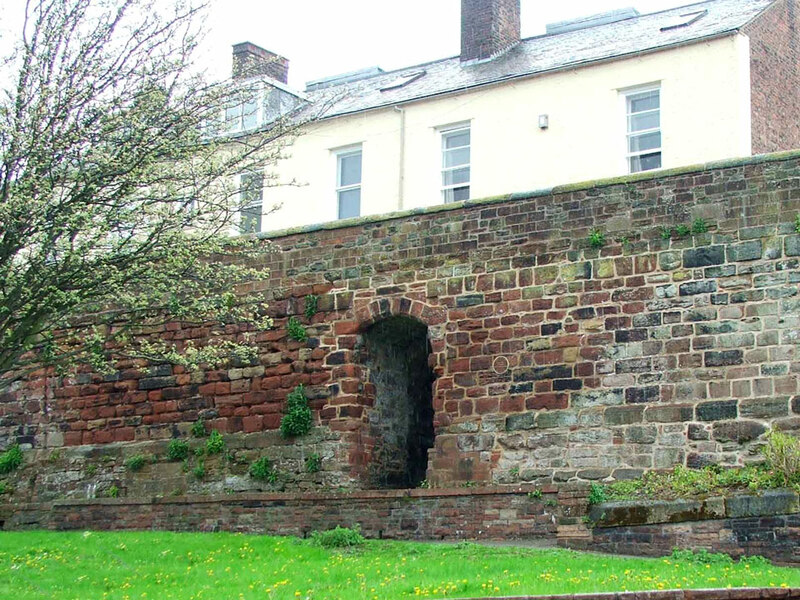 These were built in the 16th century gateway and until recently both were used as Civil and Criminal Courts. 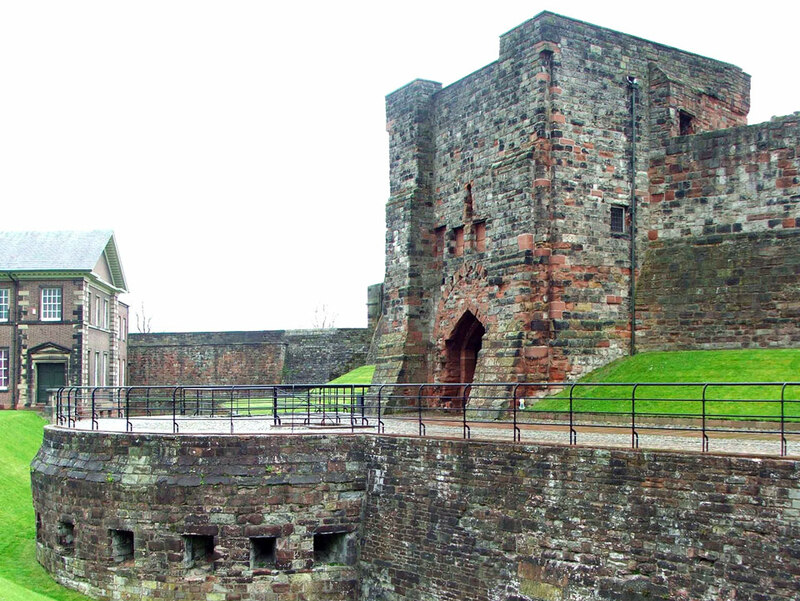 They have been restored by English Heritage and the West Tower is now open. 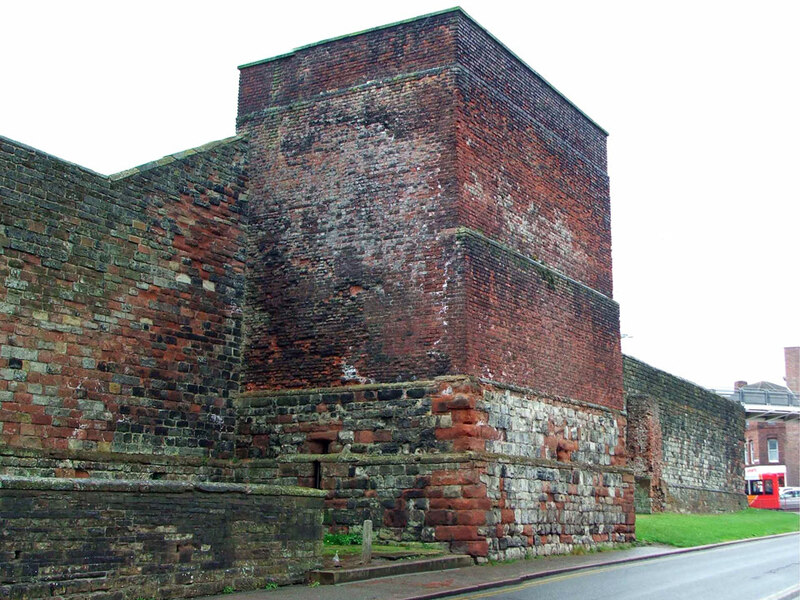 Much of the 12th & 13th century City Wall still stand, as does the Tile Tower of the same age. 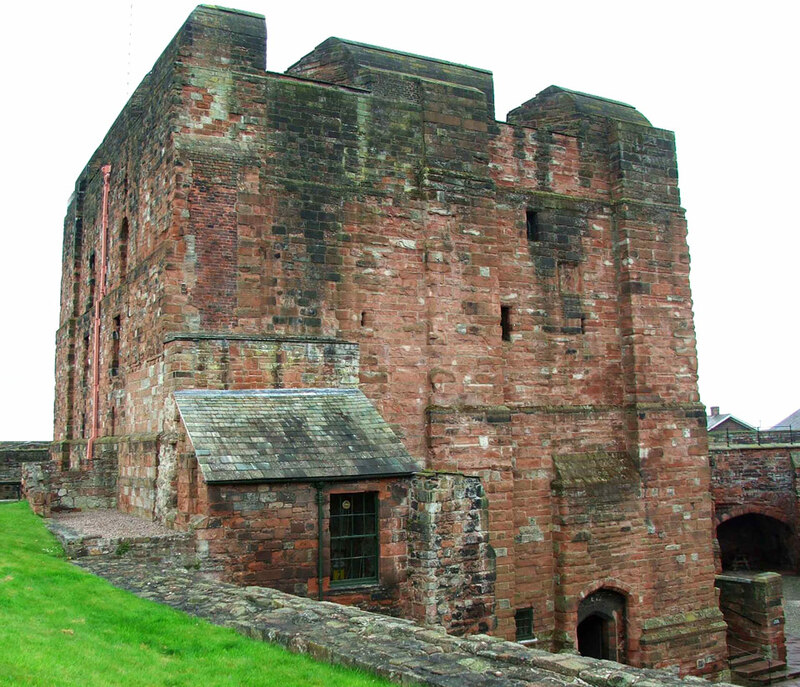 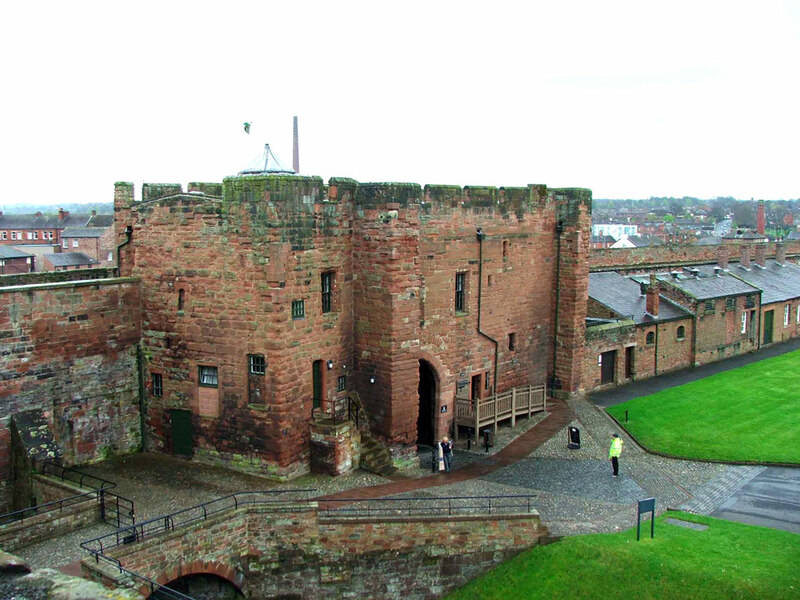 Inside the city walls is the Prior's Tower, Carlisle Cathedral, which is a 15th century pele tower (see photo below). 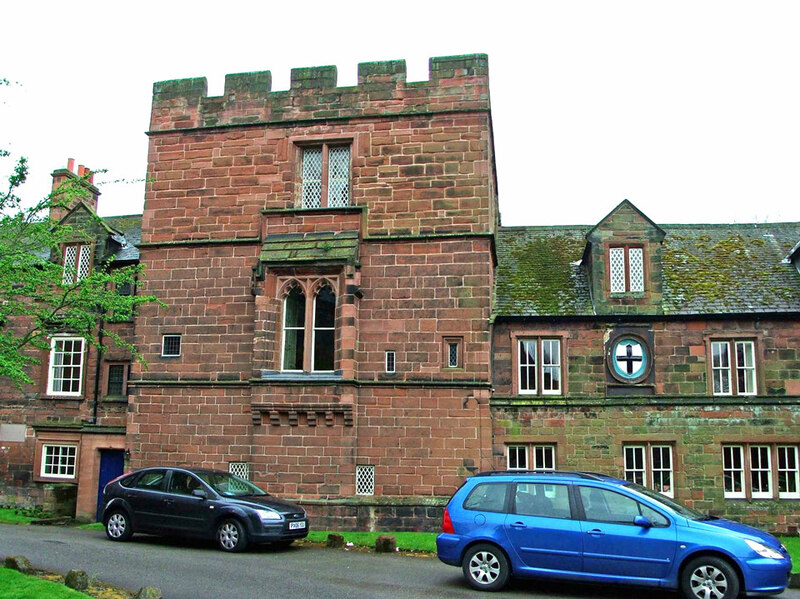 Private.